Brush reviews... something that is pretty much uncharted territory for me. My brush collection is a serious hodge podge; I buy things that feel good in my hands and everything else gets tossed to the side. I'm serious; I have tons and tons of brushes, but only a select few get used pretty much every day. For the purposes of reviewing this brush, I have been using it almost every day for the past two or three weeks. I feel like I need to state this fact about me again, but generally speaking, I hate concealer. I don't know when or why I began this distaste for it, but it is very real. 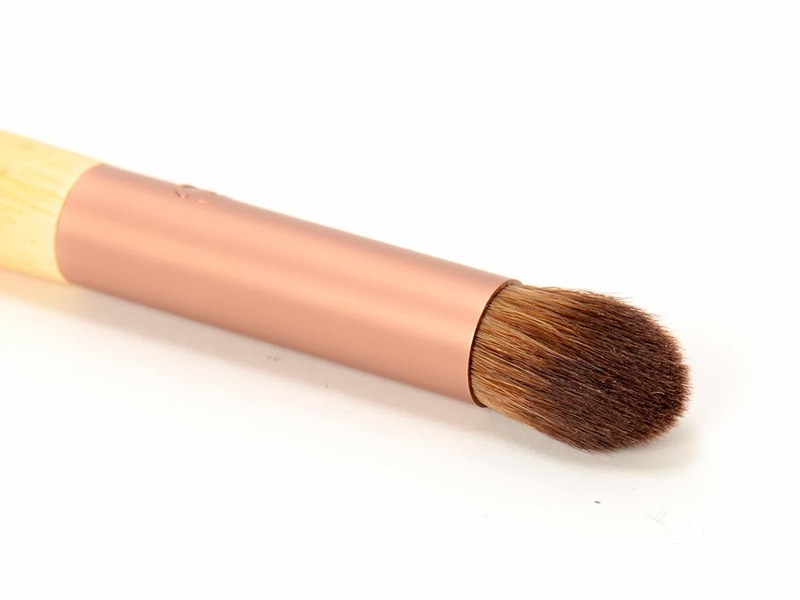 I just don't conceal anything on my face aside from my under eyes, however, to fully test this brush, I concealed lots of things (and my face had a really nice hormonal breakout, so I got to really test it out). 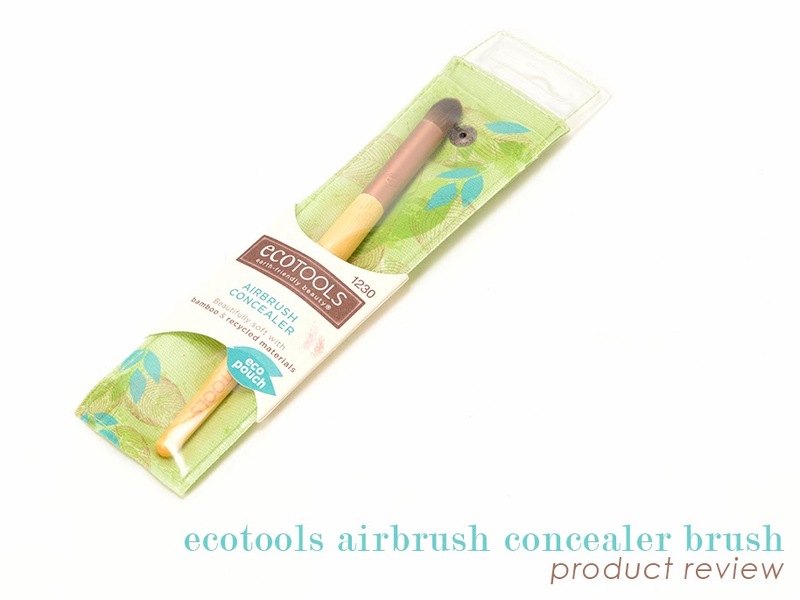 Like every EcoTool brush, this one has a bamboo handle, recycled aluminum ferrule, and synthetic bristles. I picked this brush up for $5.29 at my local Ulta, but the EcoTools website has it for $3.99; but what I'm getting at is that it's incredibly affordable. I am somewhat picky about when I used synthetic bristles and when I don't, but since this is for cream/liquid products, it makes sense to use synthetic bristles. There isn't any wiggle room between my brush handle and the ferrule, so it feels fairly well constructed, although I wouldn't be completely shocked if somewhere down the line, the two being to get a bit wobbly. The brush is fairly compact and the handle is a good length; not too long and not too short. The bristles are stiff enough to buff concealer in efficiently, but also not so stiff to be painful using it on your face. They are also very, very soft and feel nice on my skin. So far, I bet this review is sounding pretty Goldilocks to you, isn't it? The handle isn't too long or too short, the bristles aren't too stiff or too bendy, they not sharp or too soft, etc. That's just it though, this brush is kind of like the perfect porridge for Goldilocks. When I use it to blend in my under eye concealer, it does pick up some of the product, but not too much, and blends it out into the perfect medium. So what's wrong with it? Well, honestly, nothing. It's a very good brush for the price point. 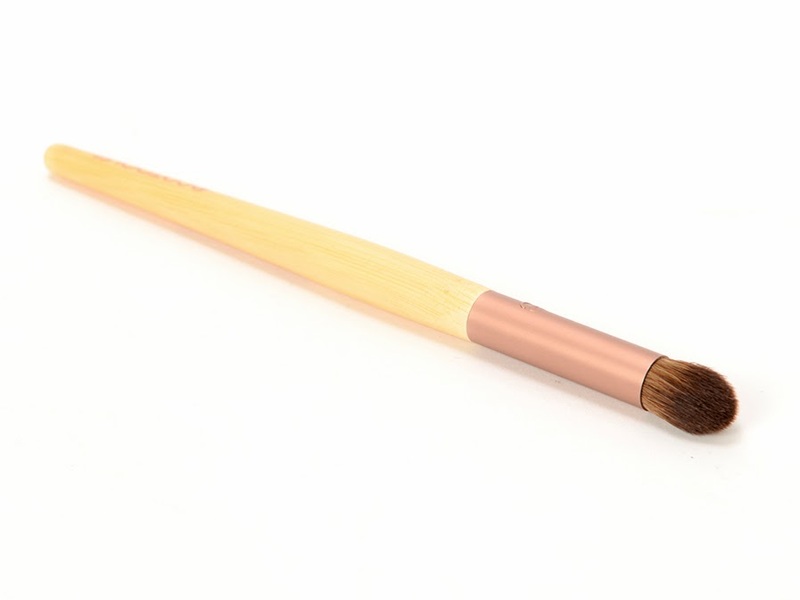 I'm sure that if you're accustomed to nicer quality brushes that are made out of the softest animal hairs, then this is definitely going to feel like porcupine quills on your eye area. On the other hand, if you're used to E.L.F. brushes, then this is going to feel like a dream cloud on your face. Me though, I use a mix of brushes (meaning higher and lower price points) and my skin isn't overly sensitive to brushes, so it works pretty damn near perfectly for me. It's nothing that blows my socks off and I would tell everyone on the planet about, but if you're looking for a nice little concealer brush that's pretty affordable, then this is definitely your guy. If you're anything like me and you use a mix of high and low, then I would definitely recommend picking this up and trying it out. If you're used to high end, you might hate this, but for less than $5, you could also just pick it up and try it out; you never know, it might change your world. I might have to try this one out! I just picked up their new 'BB cream' brush (omg, pleeeeaaase stop the BB-buzzword-whoring) and it's pretty nice. Some of their brushes really surprise me! I may have to check that brush out as well as a few others. I saw that they also have Konjac sponge and I'm tempted to try that out as well. I've been using the RT Setting brush for concealer for a while but I'm not in love with it. It's too big so I will probably look at this! It looks like a nice size. I hear good things about their flat top buffing brush too. They are having a small sale for Valentine's Day right now and I'm very tempted to pick a few things up (but it's only free shipping on orders over $35, so I'm also not tempted).